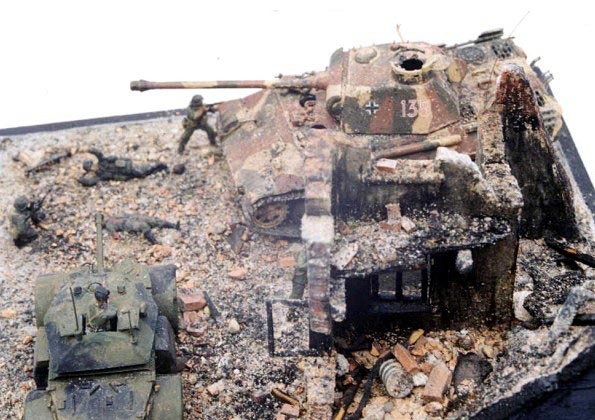 This diorama in 1/72 scale represents one small episode from last days of WW2 when also German port town Hamburg surrendered to British hands. 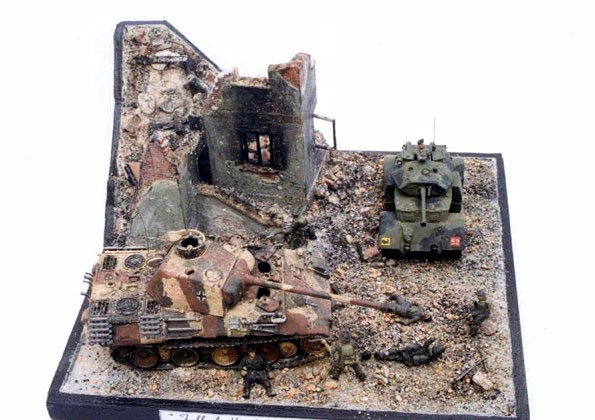 The diorama is inspired by my own fantasy supported by my knowledge in final battles of WWII in Europe. 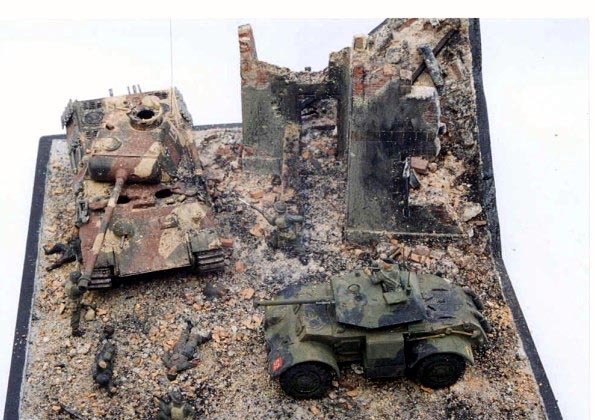 The camouflage ” Mickeymouse” has been realized according to Polish publication ”Samochód pancerny Staghound” by ”Wydawnictwo Bellona”.